As a better poet than us – Rudyard Kipling – once wrote, ‘last, loneliest, loveliest’. Of course, Kipling was writing about turn of the twentieth century Auckland, then farthest bastion of Empire. We only ever write about beer though but this may be the loneliest, certainly not the loveliest, but definitely the last in our haiku series. We will provide a follow up on the reasons for abandoning this beloved feature. 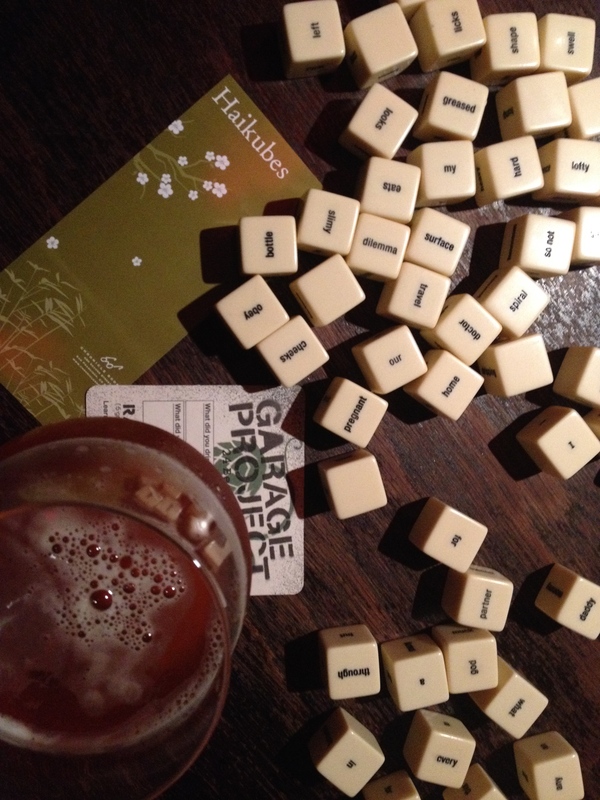 In the meantime, it is almost poetic that our last haiku beer albeit not our last Tuesday night new release at Hashigo Zake Cult Beer Bar is a brand new experimental effort from perennial haiku muses, Garage Project. * this haiku was generated entirely using Malice’s Haikubes. No synapses were injured in the process. It’s the kind of beer you drink when: you’ve done the same thing a hundred times! 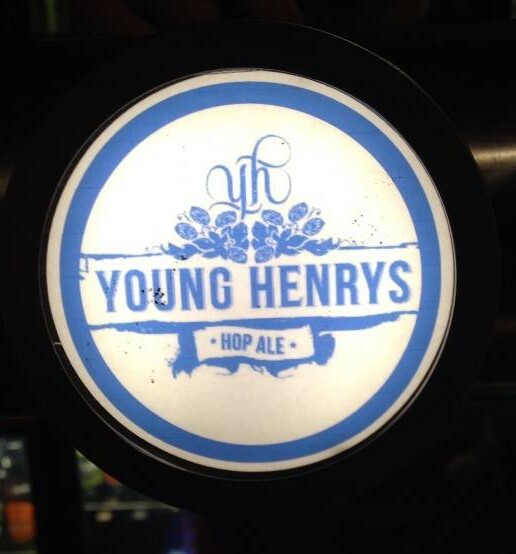 This new release at Hashigozake Cult Beer Bar was the product of a regular transglobal collaboration between hip Norwegian brewmeisters Nøgne Ø and Bridge Road Brewers from Beechworth, Ned Kelly’s hometown in Australia. These guys do their work in each others countries then ship the product to the other side of the world while apparently barrel-aging it at the same time. As a Belgian triple aged in cognac barrels, it promised to tantalise our palettes while we contemplated the non-appearance of the Thirstyboys founding member, the reaperesque Jesuit. He was off getting measured for some long black gloves or possibly burying some alleged evidence. Food match: no food, this is a cigar beer. It’s the kind of beer you have in… adult situations. 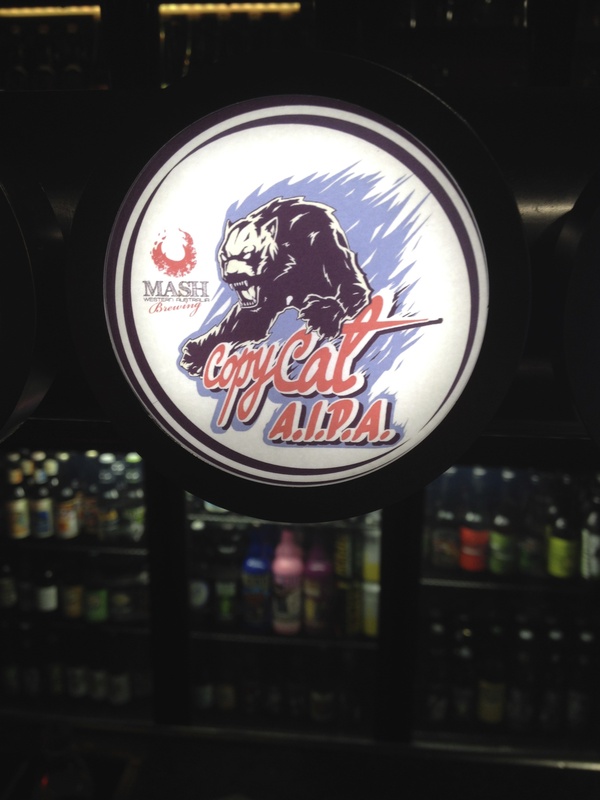 Another week, another award-winning Australian beer on new release at Hashigozake Cult Beer Bar. Mash Brewery makes another appearance (although we failed to document their first Wellington showing earlier in the month) with a hopped up pale ale of bracing strength. Food match: red snapper sashimi, file gumbo. It’s the kind of beer you drink: Upon the return of the prodigal Ginger. 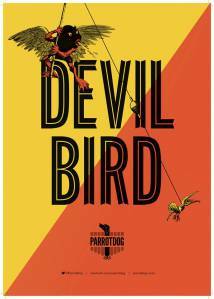 Local heroes, Parrotdog make a rare appearance as the latest new release at Hashigo Zake Cult Beer. On this occasion, we were presented with a handsomely proportioned but boozy Golden Ale in the Flemish mode. We’ve known some people to describe Emerson’s now discontinued Old 95 as an Old Ale but it’s an uncommon style, especially outside the Old World. However, it is a style that brings to mind Vikings, brigands, and all manner of Conan-era skullduggery. 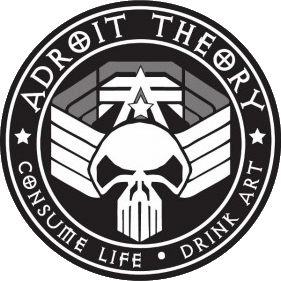 In that sense, the Old Ale lines up pretty well with Adroit Theory’s Metalhead brand identity. Hashigo Zake Cult Beer Bar has now brought us a few of AT’s happy experiments within their weekly new release series, and they’re becoming an increasingly welcome semi-fixture. The Great Australian Beer Marooning of 2014 may have adversely impacted on this year’s Beervana but that apparent debacle (the Marooning; not Beervana) has had some positive consequence. After last week’s Western Australian Imperial Brown Ale, Hashigo Zake Cult Beer Bar has now brought us an English-style IPA from the suburbs of Sydney. Good effort, Rabbitohs!